So You like video games ha? Yes? So do we! Keeping this shared interest in mind, CIBA is launching a new initiative in association with planet Earthlings, purely for Gaming Enthusiasts. "Game Dev Club" a club dedicated to those who not only like being immersed in the magical realm of Games, but also wish to be the Architects of it. 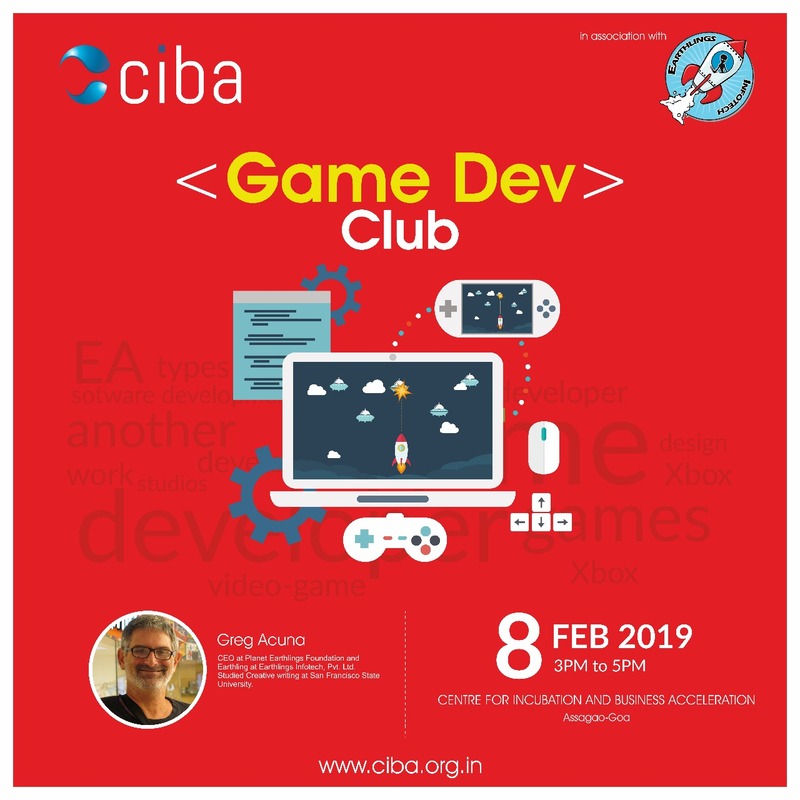 If you wish to be a part of the exclusive club of game developers, be there in CIBA Assagao on the 8th of February 2019 at 3.00 pm. The requirement for Entry? Your Laptop computer and sheer enthusiasm!